I miss my gray boots.. I bought that when I was in L.A. around May 2010. Its kinda broken now.. the heel is already separating from the bootie.. I feel sooooo sad. I miss it tons! 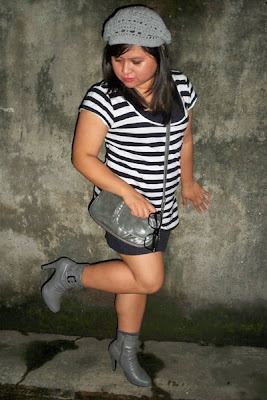 Yes this post for my outfit diary is super duper old! I had originally posted this on Chictopia around November 2010. I wasn't quite active on my blog back then so I hadn't thought of posting it here. But the main reason why I'm posting this now is not because I absolutely loved this black white and gray outfit but because of the Gray Beret I'm wearing. AND YES, I MADE THAT.. and I'm quite proud of my accomplishment! 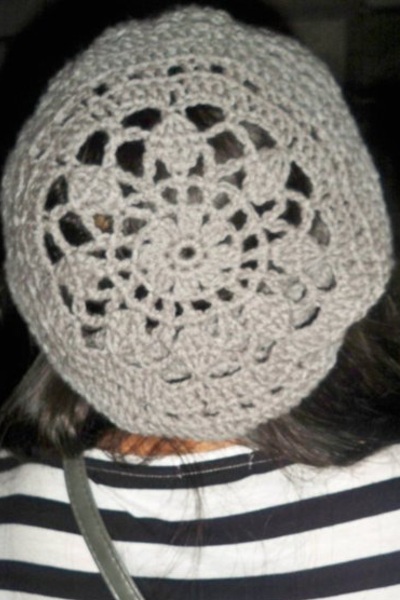 MY CROCHETED CREATION - A Gray Beret! I don't think I have been able to share this on my blog yet that one of my favorite (and random) hobby is doing CROCHET. Hahaha. I know right! 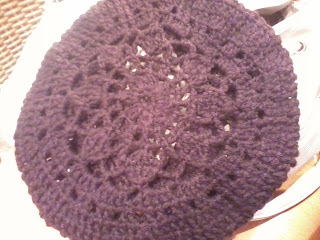 I have heard all the cliches there are about single people and crochet.. which is why I don't blab much about it. But since the cat is out of the bag now (what with Jen wearing one of my crochet accessory creations - the slouchy RED beanie that she wore in her outfit post here), I guess I might as well let all the hidden threads unravel and show off some of the stuff that I have made. 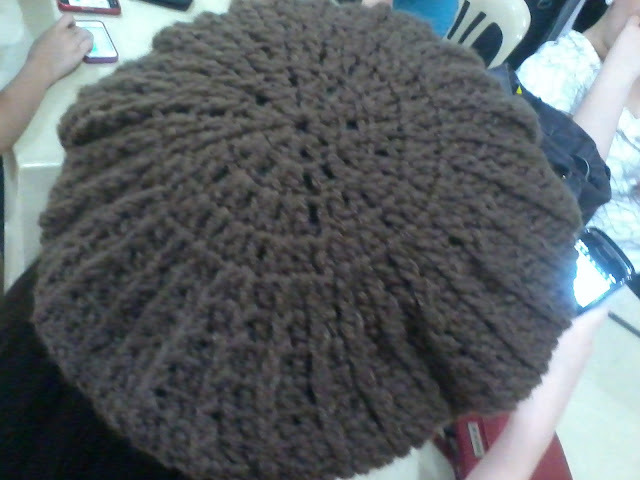 My Crocheted BERET (Hat) Creations! Same design as my gray one at the top.. except its in turquoise blue! I think I gave this one to Jordy, Jen's sister. Again, same design as the gray one. 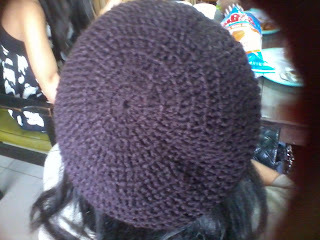 I gave this Brown Crochet Beret to my bff Naomi! Would you believe that I've been crocheting since elementary? I really enjoyed crocheting and took it up to the next level and competed in national competitions. I won 2nd place in a national competition in the "Needles and Threads - Crochet" category. What did I make? A bunch of crocheted flowers in a vase! I also made a white crocheted "pinya" designed parasol on the following year and got 3rd place. I haven't made huge crocheted projects ever since I graduated from high school but just enjoyed creating or making small crocheted stuff as a personal hobby. I started making berets again around 2010 and have enjoyed making them ever since! 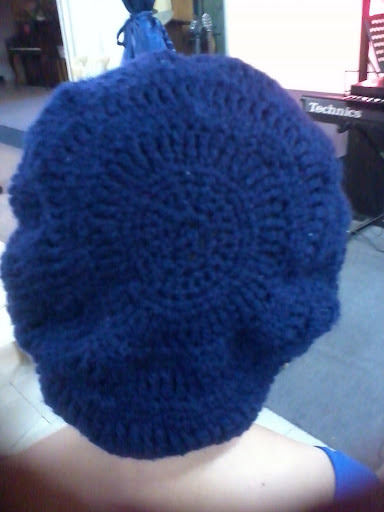 Track Stitch Blue Beret - what it looks like at the back! I made that as a birthday gift for Jen! Yes, its the same as the Red one that I gave to Jen. And I also gave this one to Jen (or was it Jordy?) as a Christmas present. This is one of the most recent Beret Creations that I've done. I made this during the Christmas break (Dec. 2011). Its a new design that I tried out. It was quite difficult and tiring to make..
just coz it took me longer to finish it! hehe. I probably won't be doing this kind of pattern anytime soon. I ended up giving it as a gift AGAIN! (will blog about that soon) and well, I did promise to give her a Beret LAST YEAR.. so yeah, it ended up with her. 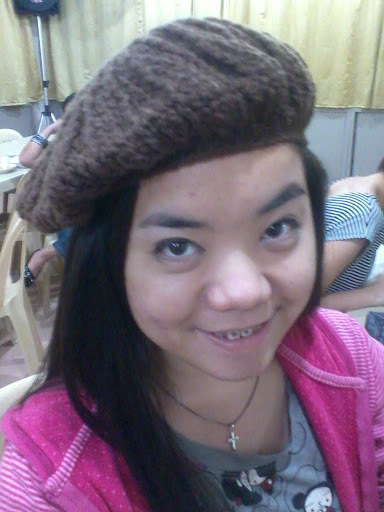 Honestly, I only have ONE beret that belongs to just me. 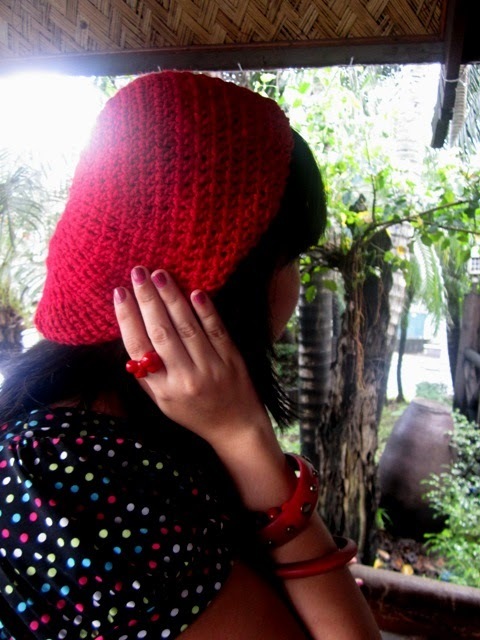 Most of the berets that I've made were either sold or given as gifts! haha. I should really make a black one for myself soon. 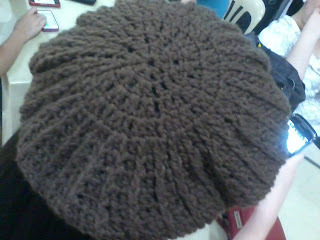 I love making crocheted hats or berets! I personally think its a cool accessory although I guess its not that appropriate in our country though with us being a tropical one at that. But then.. since when has weather dictated our sense of style and fashion? hehehe.. I also made other accessories besides the hats/berets. 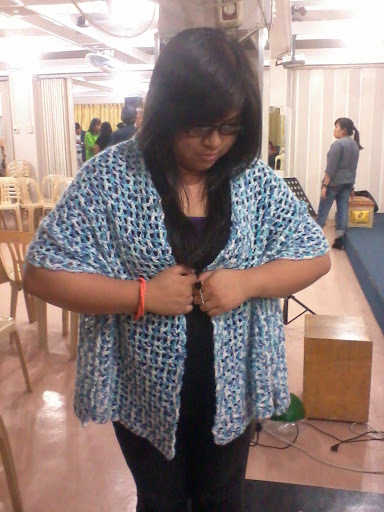 This shawl or shrug (whatever you'd like it) was made specifically for my mom. For my Crocheted Creations, I usually follow a pattern but sometimes I end up tweaking it a little to suit the taste or adjust the size of the one who is going to use it. This was my Christmas Gift to my Mom last December 2010. I was able to FINISH this in like 3 days straight! 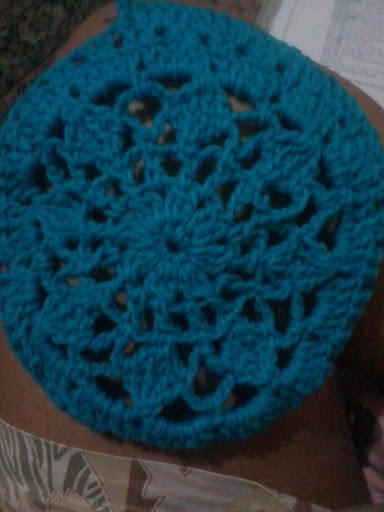 No net, no lakwatsa, and well just crochet crochet crochet (and watch tv, eat, and sleep) for three days. It was a good thing the pattern was very simple. What took me so long was that because of the length and width of that piece. hihi. So yeah, I had to work really fast coz it was nearly Christmas. I had no other time to do this! 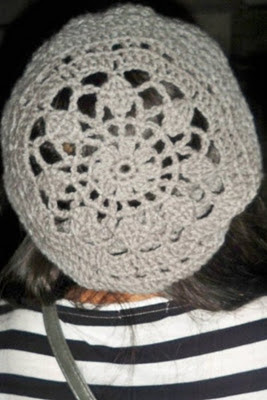 I had also made a similar one like that (except in green) for my Lola. 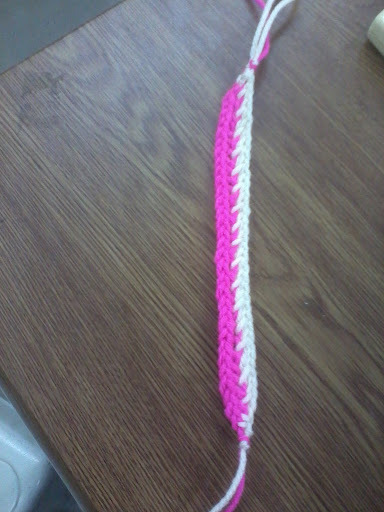 I've also made and sold crocheted friendship bracelets! 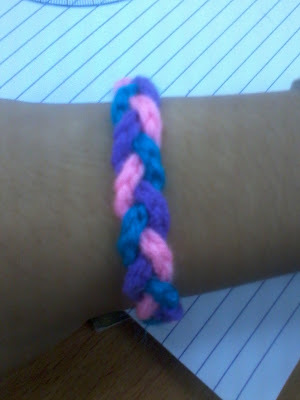 A very simple friendship bracelet that was a hit among my students. I wasn't able to take a photo of it but I also made bookmarks. Check it out - Kai Crocheted Creations in the works! 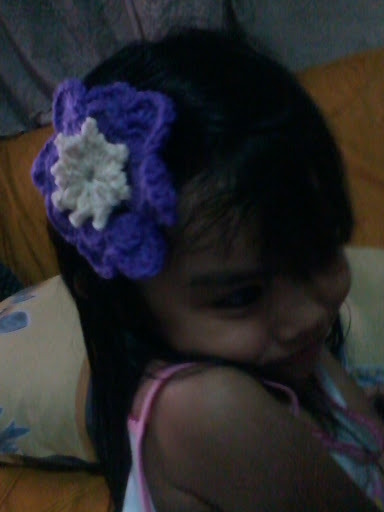 Yes this is darling SOFI, Jen's daughter, getting all kikay and excited about my most recent Crocheted Creations - HAIR ACCESSORIES! 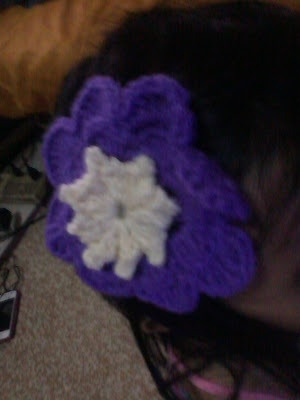 This is just a prototype of my Crocheted Creations Hair Flower Accessories. I'm still working on it and trying to get the correct size and do some modifications from the original pattern that I have. YES, I have big plans for the Hair Accessories. Several people have already been trying to convince me to sell some of my creations. I'm still thinking on the long term basis if it is worth it in the end and if people will like it and order from me. As for now, I'm happy to make em and give it away as gift to my loved ones and friends. One of my dreams is that this form of art will continue to go on despite the distractions of the advancement of technology and disinterest in doing Crochet among the succeeding generations. I feel like its a dying art form coz I rarely hear of people still actually do it (well here in the Philippines anyway). Especially as a hobby and not just a school project. 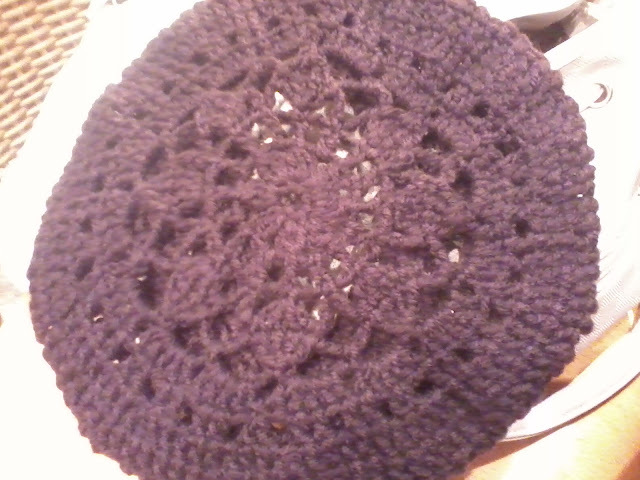 Some have probably shunned crocheting coz people have stereotyped crochet as an "old maid's" hobby. That "old-fashioned" statement just doesn't set well with me and it saddens me coz I know crocheted accessories can be cool, pretty, and fashion forward! Haha.. I'm a bit surprised by my "passionate" take on this topic. Seems like crocheting is indeed a hobby that is close to my heart! ANYWAY my dear coffeeholics, what I wanna know is what do YOU think? Do you think crochet is so out of place and so outdated? (I promise I won't bite your head off! haha!) Will you wear a crocheted hat or beret here in the Philippines? Or do you own one? And what do you think about the hair accessories? PLEASE let me know your thoughts!